Vote: Who Has the Sweetest Moustache in Phillies History? Alright, well we’ve shown you our All-Moustache Roster, now it’s time to determine the very best, who will receive the prestigious “Philly Sports History Phillies Face Furniture Award” (or PSHPFFA, for short) (Term “face furniture” courtesy of beardrevue.com). So vote below, and let us know who has the sweetest lip toupee in Phillies history. If you need to look over the Nose neighbors one more time, you can do so below. All ten of our finalist’s moustaches are posted after the jump. Voting ends Monday at 11:59 p.m., and on election day we’ll have a run off vote between our Top 3 vote getters. After you vote, click “like” below to help us spread the word and put democracy in action! 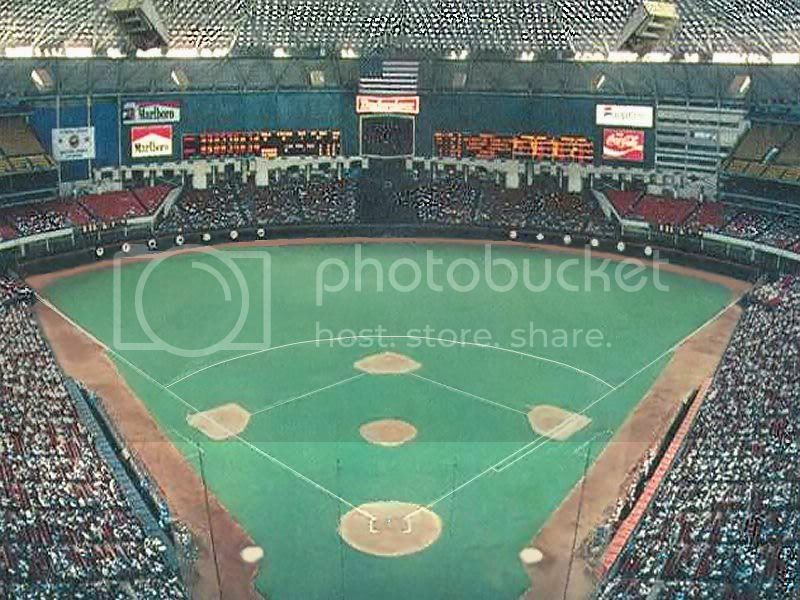 Not only did Michael Jack belt his 500th HR on this day in 1987, but he did so with two outs in the 9th inning and the game on the line. Always a competitor, accomplishing a milestone to win a game was the way Schmidt wanted it to be. As he was getting closer and closer to 500, he stressed that he wanted it to come at a time to help his teammates…and his timing couldn’t have been better. They gathered around the tiny tape recorder in the locker room, hoping to relive the moment one more time. “Hey, we want to hear how Harry (Kalas) called it,” Chris James yelled to broadcaster Chris Wheeler. So Wheeler slipped the tape into the recorder. James and every Phillies player in the locker room gathered around him. 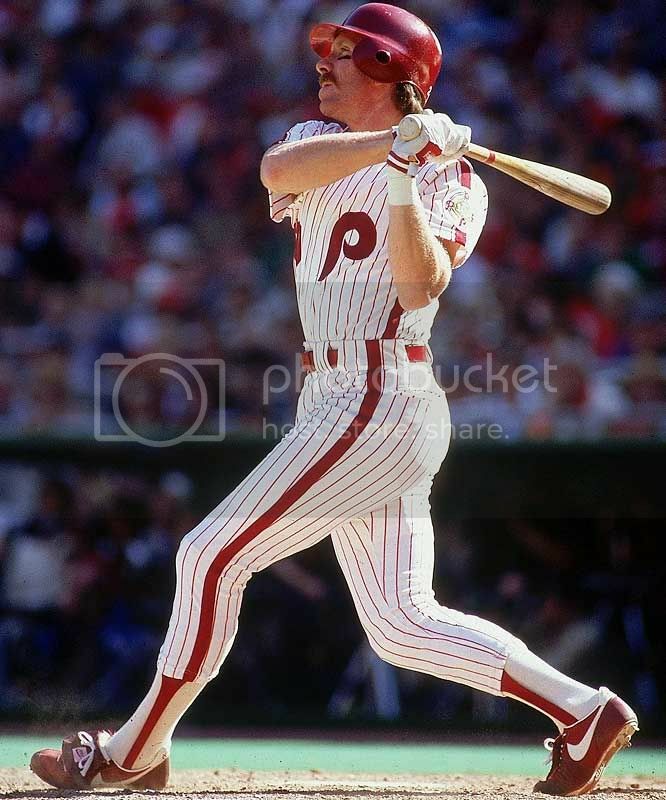 Mike Schmidt was about to hit his 500th homer. Again. 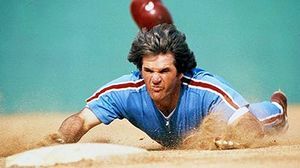 He was about to rescue the Phillies’ day and rescue the Phillies’ season. Again. The clubhouse shook with cheers. Again. Everyone in the room broke up. 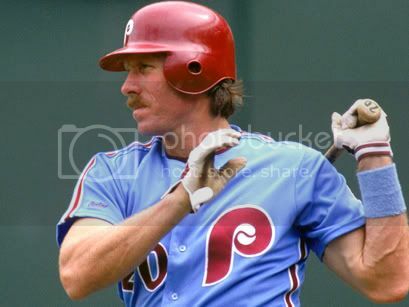 It had been a great day in the life of the ’87 Phillies, thanks to Mr. Mike Schmidt. That’s a scene I’m sure Schmidt, as well as anyone else lucky enough to be in that room, will never forget. 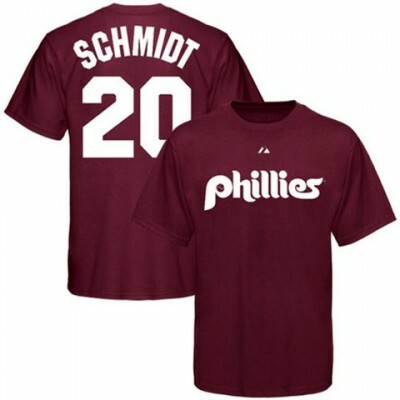 As an aside, it was fitting that Schmidt’s 500th HR came off a Don Robinson pitch. Robinson was one of the best hitting pitchers of his time and ended up with 13 home runs in his career and three Silver Slugger awards. Schmidt was the 14th player in baseball history to join the 500 Home Run Club and his career total 548 HRs stands 15th in league history. He’s the only Phillie to reach the 500 HR plateau; that is, until Ryan Howard joins him. Hopefully Howard’s 500th comes at a time as opportune as Schmidt’s.